"""The Best Tool is """
This is a good software ONLY for beginners. The problem in this is that you can't draw smoothly... even if you have a graphics tablet, it will be hard to draw in pencil. Pencil also supports any exports formats including PNG and HTML. When exporting to HTML you can even define links and behavior , allowing you to 'walk' clients through the UI mockup with buttons which actually work. Don't be fooled by the fact that it is free! With regard to Pencil, free does NOT mean inferior. Pencil also supports exporting documents into popular formats including OpenOffice/LibreOffice text documents. Pencil used to a good software ,nothing to dislike it and something I faced during the ,I had some problems with XulRunner which was being used from Firefox in Ubuntu, but that was easily fixed. I am a student and recommended to use it and see its features. 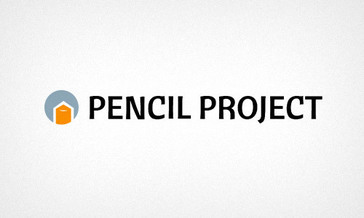 You are not going to find anything better than pencil that is open source and free. I am a student and I solve my problems and many projects with the help of pencil tool. "Almost ready as digital version of its analog namesake - needs some minor polishing"
Clean GUI. Fine-grained control of the GUI elements, i.e., you can hide panes for a wider onscreen work area. I especially liked the fine-grained controls to the appearance of the Tree control under the Desktop - Sketcky GUI. Fine-grained control of GUI object properties, such as sizing. Snap-in-place grid - not just guides alignment, but enforces it. Slow to open or launch; it takes more than a minute for the opening screen to appear. From Windows Start, when selecting to open a recent Pencil file program, a Recent Document dialog box appears where you have to select the file again. What should be quick, intuitive tasks such as renaming pages is done in a deeper menu (under Properties). Best if when you click on 'Unnamed Page', you can directly edit the page name. Evolus Pencil (v. 3.0.4 was used and reviewed)is the next best thing to sketching on paper to communicate views and user interfaces to the process owners, programmers, and end users. Be prepared though for some minor glitches that should be easily ironed out by the developer for better user experience. Prototyping of GUI and other system modeling tasks. User-friendly and intuitive, it affords a data analyst/ GUI designer to quickly do fast prototyping. What Prototyping solution do you use? "Best Open Source Mockup Tool"
It works out straight from the browser as an addon without having the need to install it on your machine. It's very customizable and stencils and templates can be added for further functionality. The user interface is a bit outdated, but you get used to that pretty quickly. It seems that the project is hardly maintained on GitHub. Might be hard to use for bigger teams without having developers as the software seems to be improved very slowly. The last commit on GitHub I saw was 2 months ago. It is open source and can be easily extended with sprite packs (I recommend this one https://github.com/nathanielw/Android-Lollipop-Pencil-Stencils) and export templates (I recommend this one made by me: https://github.com/DaniGuardiola/pencil-material-template Demo: http://daniguardiola.github.io/pencil-material-template). It is based in svg and can be easily customized sprite by sprite. You can also create your own collection of sprites by modifying or joining existing ones. The software is being updated frecuently in Github by the community and it improves on every update. Some stability issues have been corrected since I started using it and that means the maintainers listeen to the users and solve bugs when needed. This tool can be used to prototype on different screen sizes and platforms, and if you have some decent coding and designing skills you can make your own export template to be useful for your needs or professional so that you can make a good impression when trying to sell a concept. Pencil is definitely the right tool for fast design iteration and I will continue using it for a long long time. I already recommended it to a lot of my designer and coder friends. Through my experience with pencil I had some problems with XulRunner which was being used from Firefox in Ubuntu, but that was easily fixed. Aside from that, the only thing I lack is interaction prototyping. Use the Material Export Template for Pencil, it will make your designs look awesome. "Pencil, the best open source and free wireframing tool you can find." Pencil is a really easy to use program with a beautiful and useful GUI. From the very beginning you can start designing your project thanks to it's intuitive interface. It has some standard collections of stencils and templates that are good enough for simple designs but at the same time it allows you to add your own or third party ones. Also supports the creation of diagrams, which are very helpful show links between elements. And finally it has a lot of export options, with beautiful features like links on the design that when you export it to html, they actually work and send you to the different parts. "A practical tool for quick mock-ups"
The ease of use, the small libraries that come along to provide more UI elements to play with. Enjoy the possibility of linking element to other parts/pages of your mockups. It really helps to bring it alive and get a better visualisation of what it would look like. "Perfect tool for wireframing! Love it." It's extendable (export templates, collections of elements). It supports different types of data (interfaces, flowcharts, regular charts). I can create dynamic prototypes with it. It supports bootstrap styles (and a few more styles for the moment, but its free library is growing constantly) of elements (with additional library) which adds opportunity to create high fidelity wireframes. Basically it has almost everything what UI/UX designer needs in their everyday work. It also gets my bonus points for mobile (android & iOs) stensils. I like the fact it's cross-platform: even though I'm completely Windows user, I like that I have a choice: if, on some point of my life, I'll move to MacOS, my previously created on Windows Pencil projects will stay available for editing. I don't like the fact that during exporting project pages, it puts them on 1 large html page. I would prefer to see them on different pages. Axure does it great - with list of pages in left frame, and active page on right hand side. Also, the same thing I miss in Balsamiq - lack of multi-level pages management. I would like to keep multi-level structure of project pages. I would like more active development of this product (seems like it's sort of abandoned :(). I use this tool for my clients' projects only since organization I'm working in prefers using Balsamiq. I like an opportunity to show my clients almost live website where they can basically feel it. It's great that we have such tool for free! "For those working solo and not doing highly interactive prototypes, Pencil may be all they need"
What I like best about Pencil (apart from the fact that it is free, both as in "free beer" as well as in "free speech") is the large set of available stencils. You have sketchy stencils for early wireframes, but also native UI stencils that are drawn using your system's widget theme, as well as Android and iOS controls, common web elements, flowchart elements and more. The GUI stencils are not simply "dumb" vector graphics, but have properties like disabled, default button etc. Wireframes for different UI states can be interconnected using hyperlinked UI elements to create simple "interactive" mockups and export them as PDFs or HTML documents. You can create your own "dumb" stencils just by combining and editing existing stencils and then adding the result to your personal collection, or you can create stencils with all the bells and whistles by writing them in XML. The only two things I'm missing is online collaboration and the ability to create highly interactive prototypes. Real-time collaboration simply isn't possible with Pencil, so you're left with sending your mockups back and forth between team members. Online wireframing tools like myBalsamiq have the advantage in that regard. If you want to do highly interactive prototypes that can be animated and change states dynamically, you'll need tools like Axure RP. Since it's free, there is definitely no harm in giving Pencil a try to see if it does what you need. I use Pencil to create GUI mockups and wireframes for mobile and desktop software in the Free Software community KDE. In that environment, using an open-source tool makes sense both from an ideological perspective (using proprietary software to create free software is always awkward) and a practical perspective (everyone in the community can download and use Pencil for free). We use Pencil wireframes in early interaction design stages to discuss our ideas with other designers and developers and optimize them before eventually creating more visually detailed mockups in Inkscape (simply because one has more control over fine details there)..
"It is will designed and packaged"
The materials and the design craft. I was looking for a pen tool to use with my screen for quick sketches using the Paper App. It best functionality only work in the Paper app. I am not limited by a pen or real world pencil as it can write on most surfaces but having the pencil only functionality of pressure and point recognition only work in their app was a little disappointing. I sketch a lot with my job as a UX designer & educator and having a digital tool that comes close to the freedom and utility of pen and paper has been nice. Some of my favorite features are the ability to output to a multi page SVG file and PDF format. And the inter page linking is very useful, one of the features I use a lot! I would love it if I could use it on my iPad and transfer the file back to the desktop. I would recommend taking advantage of the ability to connect with other designers and contribute to the development of plugins and templates to make everyones experience easier. I was successful in creating a user work flow for an Ecom project I did. The journey had many complex work streams that needed to be presented to the client. "I've used the product many times to create schemas to show to potential and established customers." The fact that it is an open source product drew me to it. And the fact that is multi platform, but still runs on the desktop also. Great piece of sowftare, I recommend it to anyone that needs a flowchart drawing software. I have often the necessity to make drawings and schemes to present to my customers, showing the behaviour or the "big picture" of some service I'm developing. We can copy our mind in paper without any borders as beautiful drawings. Can't undo the drawing. If there is a choice of erasing i wish i could be able to do much more. Nothing for me is perfect, we use in my agency with many different users without problems. Easy to use and works everywhere but not require an account and is open source other than free. You can focus only on the mockup/wireframe and ignore the graphics and focalize on your content. As a developers is perfect to evaluate the interface and feature of a project without all the unuseful ahnd annoiyng interface of a illustrator software. I like that it’s free? It’s cool that I can download it without any cost. It’s very frustrating to use. The controls don’t behave as I expect from graphic apps like Photoshop, Illustrator or Sketch. It’s got a very horrible tab bar used to navigate screens and once you have more than a few it becomes a pain to navigate and sort your pages. Blah. D: For a UX app it’s got horrible UX. "Decent option for Low-fidelity Wireframes"
Very basic shapes and stencils are available. Many icons have to be imported from outside which disrupts the look and feel. Each page in a project is a tab. Moving between pages becomes difficult as number of tabs increase. "Great open source wireframing tool"
It's really easy to use, the sketch style widgets look amazing and it's open source. The only bad thing I could think of is that it hasn't been updated for some time now. "Pencil is one of the great tool that is my box"
It is very useful while picking out your product ui first time, specialy custimization great! "Free and open source, but buggy." It's free and open source, and also pretty much the only half decent prototyping tool on Linux. It's pretty buggy. The interface isn't very intuitive. The product is under development. If you spot a bug, report it on github. * We monitor all Pencil reviews to prevent fraudulent reviews and keep review quality high. We do not post reviews by company employees or direct competitors. Validated reviews require the user to submit a screenshot of the product containing their user ID, in order to verify a user is an actual user of the product. Hi there! Are you looking to implement a solution like Pencil?